1 Million for Work Flexibility has more than 70 organizations on board to date as part of our coalition—and counting. We’re pleased to share more information about our supporter the Green Business Bureau in today’s “Spotlight On…” post. Telecommuting is one of the best and most impactful ways in which a company can be eco-friendly. After all, having employees work from home decreases the carbon emissions created by commuting, not to mention the savings (both financially and environmentally) of not having to have a huge office space that needs to be heated, cooled, filled with tons of office equipment, and run on huge quantities of electricity. Until recently, though, there was no real way for companies to receive the acknowledgement of being green. That’s where the Green Business Bureau comes in. Their goals include helping global businesses recognize the benefits of adopting environmental laws, fostering greater awareness around eco-friendly business practices, and helping eco-friendly businesses gain a competitive business advantage by touting their green business certification. 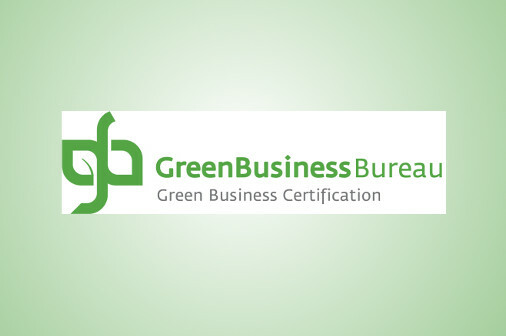 Created by environmental and business professionals who recognized a need for companies to have a certification as it related to their green business practices, the Green Business Bureau works with organizations who are looking to keep up with the latest environmental laws and also make the public aware of their green business practices. The GBB provides a step-by-step plan for helping companies implement a green work model in the workplace. In order to become a certified environmentally friendly organization, a company must fill out an online application and organize an office Green Team, among other requirements. Once certified, a company will receive individual initiatives to help them continue growing—and stay green. The GBB gives qualifying companies an eco-label, which people can click on to see the environmentally-friendly initiatives implemented. The Green Business Bureau gives companies that are already allowing employees to work remotely (which is one of the leading ways that a company can go green) the recognition that they deserve, and inspiring other organizations to become a certified, green business as well. 1 Million for Work Flexibility is proud to have the Green Business Bureau’s support as we work to expand access to work flexibility for employees across the country. For a full list of our supporter organizations, visit our Who We Are page.